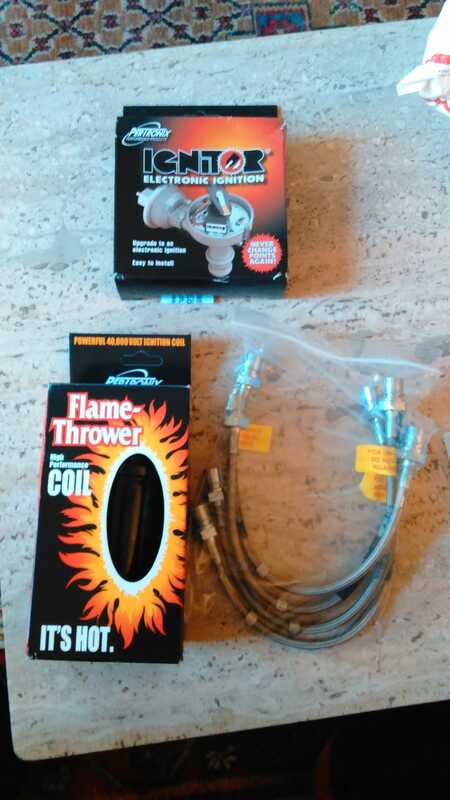 Pertronix electric ignition and Flame Thrower coil. Also Earl’s stainless steel brake lines that are “for off-road use only. Not for use on public roads.” Also not pictures is a new slave cylinder and clutch hose. All these parts will be going in on Friday and I hope to have the Z back on the road this weekend!